• Magic v2.21 has been released! This version has some great new features, including multi-line Expression editing, improved MIDI functionality, and a few important bug fixes. View the announcement on our forums, or just download the free Demo now! 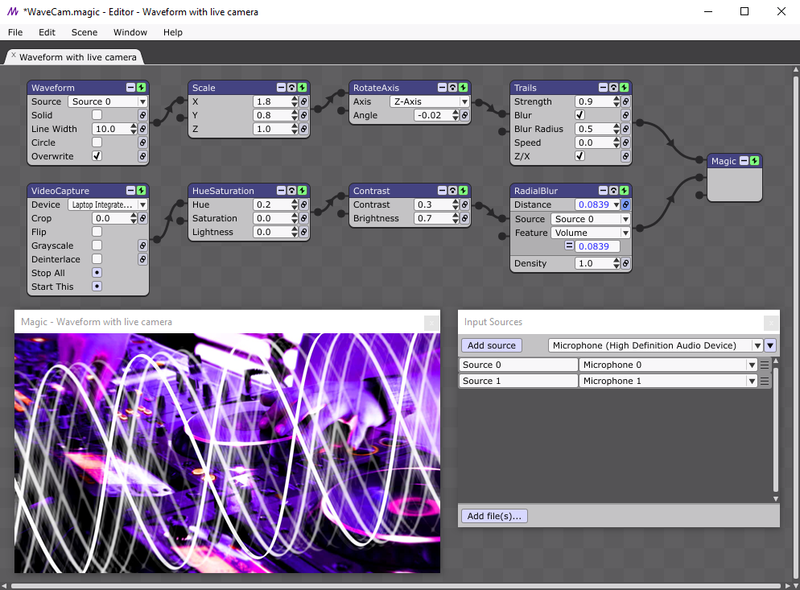 Fully-customizable and highly responsive visuals for live and recorded audio & MIDI. Download the free Demo now for Mac or PC. Magic is a unique desktop application that gives you an intuitive, modular interface to create interactive animation and video effects for concerts, clubs, theater, movies, parties, art installations, advertising, education, research, relaxation, and anything else you can imagine. 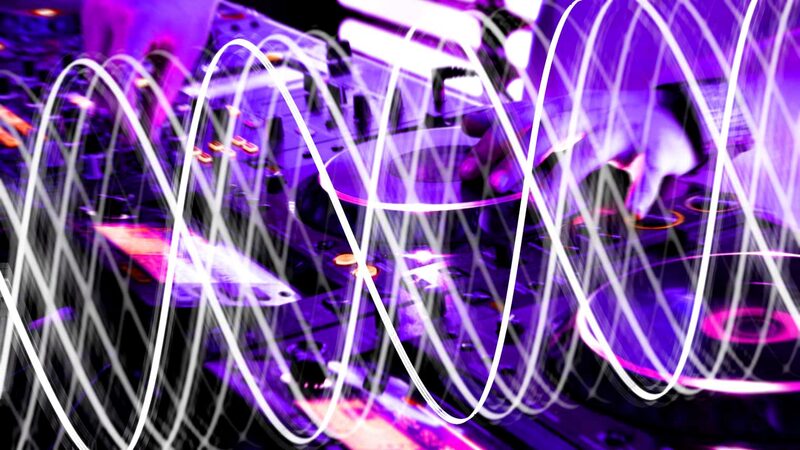 Magic: music visualizer, VJ software, live video mixer, music video creator, and much more. Magic compositions can be presented in full-screen mode for live performances, or exported to movie files for further editing or uploading to video sharing sites like YouTube and Vimeo. Magic reacts instantly to live audio/MIDI/OSC input and audio/MIDI file playback. Magic works well with all types of live audio, MIDI, and OSC (Open Sound Control) sources, including microphones, turntables, guitars, synthesizers, drum machines, multitrack audio editors, hardware controllers, lighting control systems, and more. Magic allows you to use multiple audio/MIDI/OSC inputs simultaneously, including support for multichannel audio devices — meaning that your visuals can react differently to every individual instrument or output from your DJ rig, rock band, jazz group, or classical ensemble. Magic also lets you import and play back audio and MIDI files so you can design scenes and videos for your favorite artists' tracks or your own unique pre-recorded songs. Join the global community of Magic users — download now! Magic is used throughout the world in major concert tours, nightclubs, sports stadiums, amusement parks, plays and musicals, casinos, planetariums, museums, event venues, film/video productions, art and music schools, houses of worship, spas and resorts, yoga/fitness classes, and an ever-growing number of home studios. If you're a musician, composer, DJ, VJ, video editor, graphic designer, animator, or any other kind of multimedia content creator, we urge you to give Magic a try. Visit our features page for a comprehensive list of Magic's capabilities, or just download the free Demo for Windows or OSX/macOS, and start "painting with sound" today!